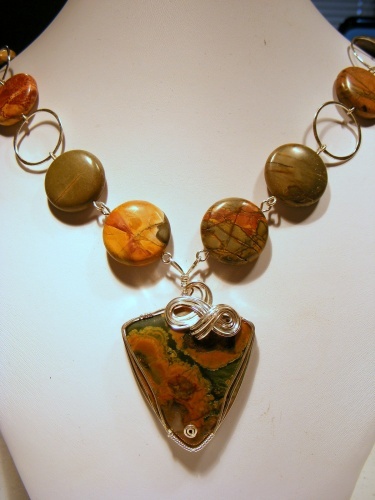 This fashionable jasper necklace will match with just about anything you wear. Beautifully wrapped with sterling silver curls this piece is a one of a kind. Sterling silver rings soldered and hammered matches the size of the beautifully striated beads. Measures 22".